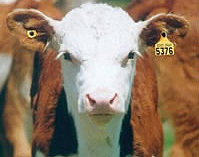 Livestock EID Solutions (LEIDS) has over 20 years’ experience in the Sheep EID tag and Cattle EID tag business. 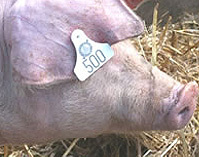 Livestock EID Tag Products and Services - Hand held and static EID Tag readers using BioControl stationary readers. Supplying IT services and support through remote access alleviating high call out costs. With over 20 years experience in the Sheep EID Tag industry, LEIDS provides Livestock EID tag systems to farm offices, including PCs and EID Tag readers, manual and fully automated Sheep EID Tag crushes and crates. We can supply, install and train users on fully automated and integrated Sheep EID tag reading systems in Auction Marts, Abattoirs, Large Sheep Farms and fatteners. Custom fitted Cattle Crush EID Tag Readers are available with battery power packs mounted on the antenna allowing the most expensive piece of equipment to be taken back to the office for charging and safekeeping. See Products and Services for range of equipment. We specialise in Networking, Server and PC installation, networked and stand alone printer installation, on site and off site backup, installation of WiFi and procurement of IT equipment. We also project manage the installation; provide consultancy, commission and train in IT systems. Livestock EID Solutions Ltd and ITC (North) provide System Integration of IT and communications systems into small businesses and Sheep EID Tag and Cattle EID Tag systems on farms, in abattoirs, auction marts and large sheep farms. website provided by Inverness OnlineTheme zAlive by zenoven.